When Shannon Binns launched Sustain Charlotte in 2009, like many activists who've come before and after him, he felt unheard by local government. For him, the path forward for any city wishing to sustain itself is clear, and it's built upon three pillars: economic, environmental and social. "They must be in balance," Binns said. On June 25, the city of Charlotte took a step toward the balance that Binns has preached about for nearly a decade. By unanimous vote, the "Sustainable and Resilient Charlotte by 2050 Resolution" was adopted. While still not an actual plan of action, the resolution does represent official government approval to develop a legit sustainability plan for the city, one that could lead to more clean-energy jobs and a less polluted environment. And the jobs are there for the taking as solar continues to boom, currently bolstered by a rebate program through Duke Energy that launches next week. Since 2016, North Carolina has held second place in the nation for solar installations, behind California. According to the Solar Energy Industries Association, N.C. employs 7,622 people, has 42 manufacturers, 118 installers and/or developers and 83 other solar companies as of June 2018. 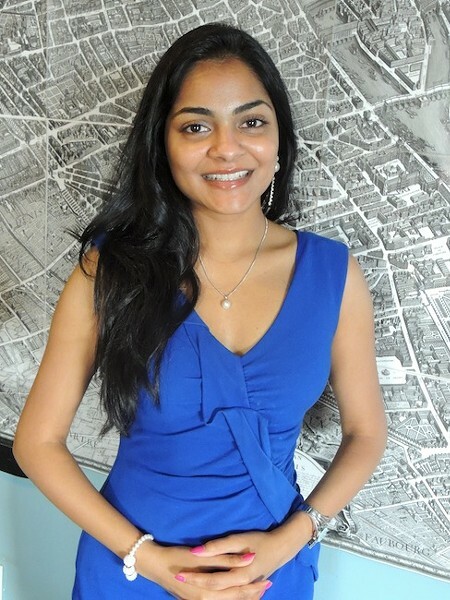 Widely praised during the public comments leading to the vote, at-large councilwoman Dimple Ajmera is credited with developing the stakeholder group that led to the unanimous vote. That group consists of more than 40 entities including multiple environmental organizations and Duke Energy. Binns says semantics created a hang-up early on. "The most controversial thing was over language," Binns said. The choices are "carbon free, [carbon] neutral and renewable." Carbon-free energy includes nuclear, he said, "which is kind of critical for getting Duke Energy on board. While they're not spelling out nuclear in the resolution, they're being realistic with trying to get the city to 100-percent zero carbon. Without nuclear that wasn't possible. Everyone can agree on zero carbon." Michael Zytkow, Sustain Charlotte's lead policy wonk working on the sustainability plan, was surprised by the process. 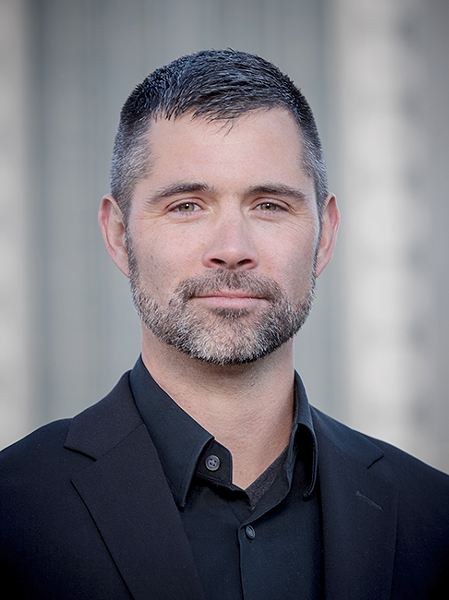 Zytkow has been heavily involved with city politics since emerging as a leader of the Occupy Charlotte movement in 2011. During the three-month occupation protest, he had a contentious rapport with City Council that sometimes landed him in jail. "The stakeholder process is totally different than the way things usually are," Zytkow said. In 2013, Zytkow gathered more than 3,000 petition signatures over nine weeks just to appear on the ballot for city council as an unaffiliated candidate — the first person to do so in Charlotte. A self-proclaimed "radical centrist," he lost the election but remains dedicated to the policy-making process in Charlotte, though he said his approach has changed. During Occupy Charlotte, Zytkow said, "There was no stakeholder process. There was no effort from the city to reach out. We would hand out slips of paper with the council members' phone numbers and ask Occupiers to call and no one remembers any of them calling back. "Usually you have to just about pull teeth to get the council to listen," he said, but the stakeholder process for the sustainability resolution "was a good opportunity for us to hash things out. It's not always pretty, but that general transparency was really refreshing. It's certainly a model for every issue the city deals with, and a really good way to get people involved and help them feel heard. It makes people feel included." For Ajmera, the process was a no-brainer. If folks want to volunteer their expertise, why would she not take advantage? "The city benefits because we got the expertise we needed," Ajmera said, "and we didn't have to pay for it. You know, I'm serious," she said. "I didn't have to pay to get these experts in the room, they volunteered their time to make the city a better place." Ajmera said the unanimous vote on the sustainability resolution "sends a very clear message that sustainability isn't a partisan issue, that clean water, clean air and energy are important for survival." She said the vote also announces that "we want to be a globally competitive city" with clean-energy jobs. 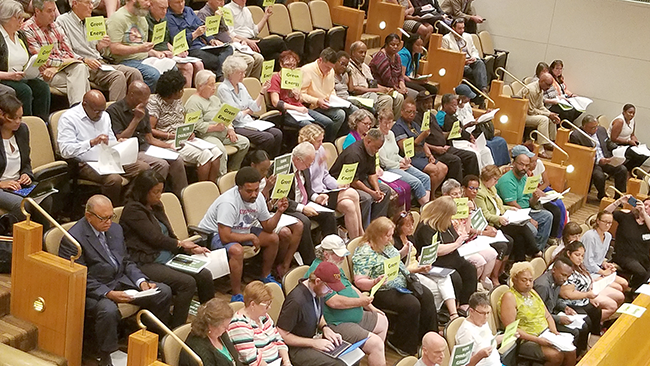 Environmental advocates tried to get the Charlotte City Council to approve a similar resolution in Nov. 2017, but the council found it lacking and refused. "So much has changed since the November 2017 version of the resolution," Zytkow said. "This isn't just a resolution; the resolution kicks off an action plan — and that's huge. That action plan is made up of concrete short, mid-term and long-term goals. It is, 'What are the goals and how are we going to get there?' And we're going to be at the table throughout the entire process," Zytkow said. The Strategic Energy Action Plan currently under development by the city will aim to convert the city to zero emissions by 2030 and become a low-carbon city by 2050, meaning reducing each resident's carbon footprint to two tons of carbon dioxide emissions per person per year. Right now, the Charlotte average is at 12 tons of CO2 per person per year, Binns said. "We changed the resolution language four times before we adopted it at the committee level," said Ajmera, a certified public accountant by trade who chairs the city's Environment committee. "This is a very significant investment that is going to impact residents 30, 40, 50 years down the road." The councilwoman said the stakeholder process was so successful that it will be part of her mode of operation going forward. "There was so much negotiation and debate ... that is what makes this process so democratic," she said. "There are times when some groups didn't agree, but they should be given an opportunity to be heard." She credits city staff with much of the behind-the-scenes work: "Without the support of city staff, I don't think I would have been able to do what I have done. I left my very good paying job because I wanted to serve. This is probably one of the most rewarding experiences I've had." We can only hope the newfound energy around this way of doing things will also be renewable.